Mark studied and practiced vipassana meditation in the style of the Mahasi Sayadaw for more then 30 years. In 1998 he began practice and study of tranquil wisdom practice with Bhante Vimalaramsi and is a senior student in the TWIM community. Mark was an energy healer with over 1,000 sessions assisting HIV/Aids afflicted people. He recently retired as commercial real estate appraiser and currently leads online retreats at Dhamma Sukha. He is an enthusiastic teacher that enjoys helping people on the path to greater happiness and awakening. 42+ years of daily meditation practice in the Theravada Buddhist tradition. More then 30 retreats with the foremost teachers of vipassana and other Buddhist meditation styles. 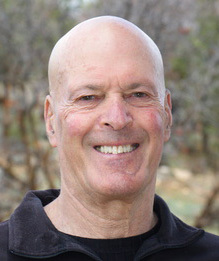 His primary teachers include: Bhante Vimalaramsi, Sayadaw U Pandita, Sayadaw U Silananda, Mahasi Sayadaw, Joseph Goldstein, Jack Kornfield, Carol Wilson, A. Munindra, Thanissaro Bhikkhu. Graduated from the teacher training program as a Community Dharma Leader from the Spirit Rock Meditation Center in 1999. Has organize and assisted in managing 12 mediation retreats.